This will be my last mod in the Water reeds series for now. If you're not familiar with these series, I added different effects to just one single water reeds object. By using all these different objects/effects, you can create some awesome looking custom ponds. This time I added the effect of 3 swimming wild ducks. Sometimes one or more will have ducklings swimming behind them too. To see the effect in motion and learn how to use it, I recommend watching my video by clicking the link right underneath the image. The YouTube video description will also have a list of other mods made by me which can be perfectly combined with this one. 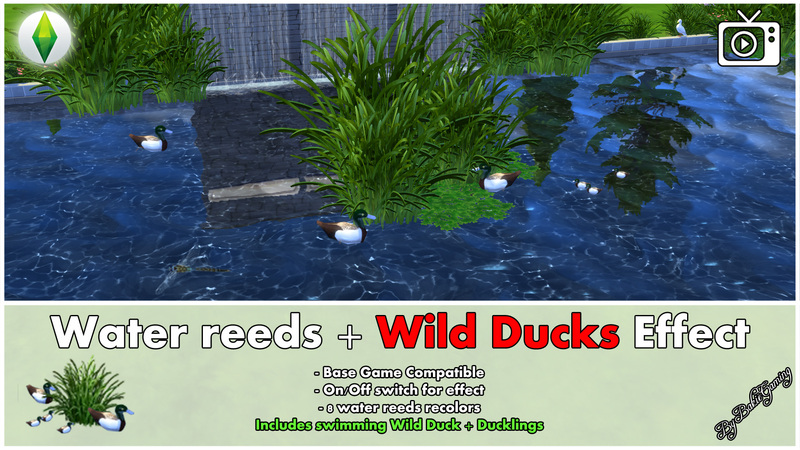 The Water reeds + Wild Ducks effect mod, is a standalone object, so it won't overwrite any other objects in game. 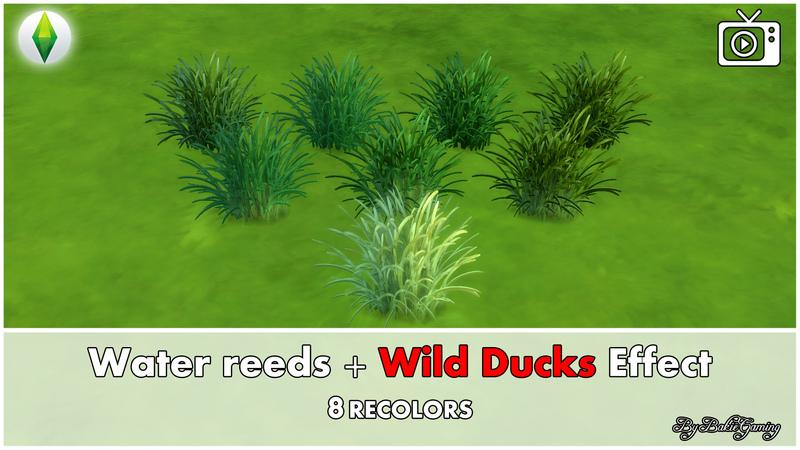 You can find the Water reeds + Wild Ducks effect in Build mode > Fountain > Fountain decoration OR type Ducklings into the search bar. You can recognize this mod by my "BakieGaming" icon in the lower right corner of the thumbnail.